Strike ‘em out, Barnstormers! 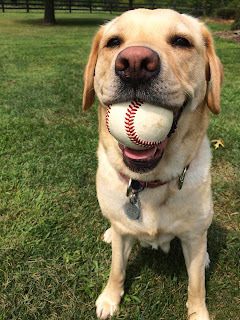 This baseball season, Just Cabinets Furniture & More is teaming up with the Lancaster Barnstormers to support Susquehanna Service Dogs. Every time the Barnstormers strike out the opposing team, Just Cabinets Furniture & More will make a donation to SSD. We will have a table at several ball games throughout the season: May 31, June 19, July 17, and September 5. You’ll be able to meet some of our dogs in training and learn more about SSD. May 31 is the Barnstormers’ Bark in the Park event. You can even bring your pet dog! In addition to teaming up with the Barnstormers, Just Cabinets Furniture & More is holding a promotion within their stores. For every selfie taken with any of the huge stuffed dogs in stores and posted on their Facebook Page, they’ll donate $1 to SSD! They’ll also be collecting donations in stores. Visit any Just Cabinets Furniture & More location to participate. We’re so close to reaching our goal of raising $30,000 in the Highmark Walk for a Healthy Community! We just need to raise $2,572 more! Luckily, there’s still time for you to make a donation. Donate now to help us reach our goal! The Walk itself took place on Saturday, May 16. It was a beautiful morning. We were thrilled to see 193 people walk for us! 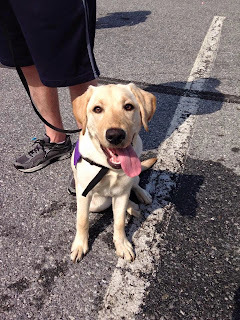 Our puppies in training enjoyed the Walk, too. 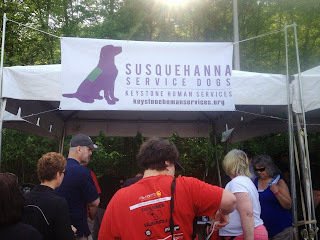 Many of them spent extra time working on their loose leash walking so they could show off their skills at the Walk. Thank you to everyone who joined us for the Highmark Walk for a Healthy Community and to everyone who donated! And don’t forget, there’s still time to make your donations! 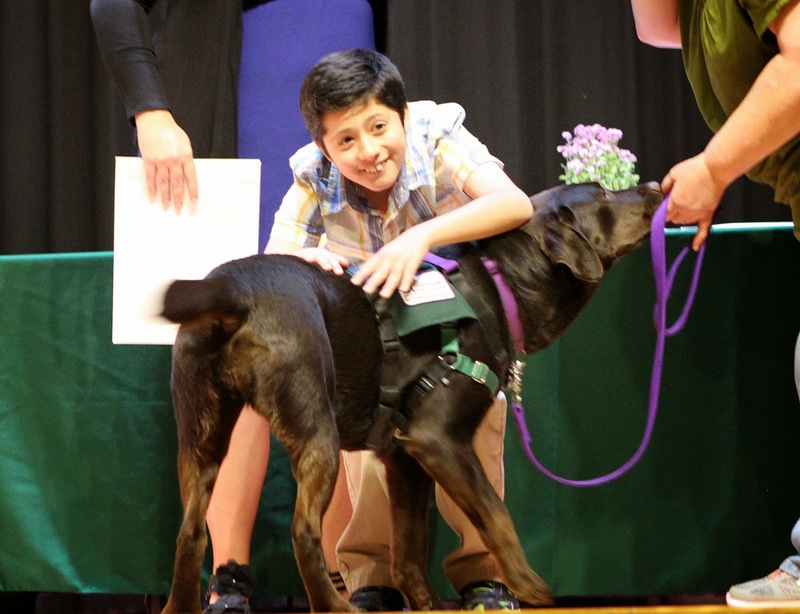 When SSD Vicki walked on stage to be reunited with her partner Connor, her tail immediately started wagging. Soon her whole body was wiggling with joy as Connor hugged her. 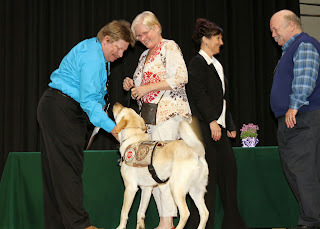 Vicki is one of the 26 dogs that graduated last week in our annual celebration, graduation, and volunteer recognition ceremony. This is one of our favorite nights! It’s a night full of tail wags and happy tears. The evening began by sending the dogs back to their beginnings. 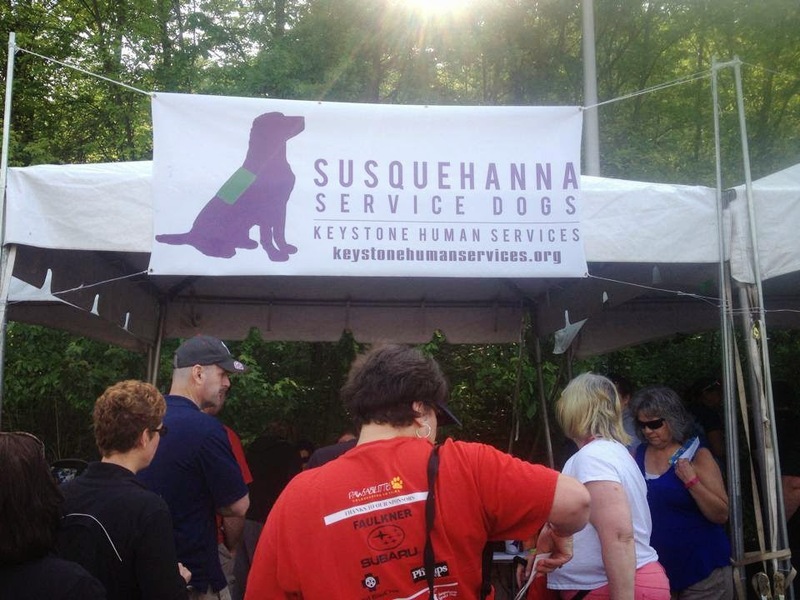 When each service dog team arrived, the dogs were handed off to their puppy raisers. As you can imagine, there were a lot of happy dogs and raisers! The dogs spent the first part of the ceremony with their raisers, completely out of sight from their partners. Then the ceremony commenced, and we announced each team. Each puppy raiser brought their dog on stage to be reunited with their partner. Even though some teams had only been together for two months, it was easy to see that a strong bond had already formed between them. When the puppies are born, we often talk about how they’re on a journey to becoming service dogs, with many people working with the dogs along the way. While the partner, dog, and puppy raiser are still on stage, we show each dog’s journey in a slide show, created by our puppy coordinator, Becky. Each dog starts out in their whelping home with their whelping family, who cares for them the first eight weeks. During this time, puppy huggers slip in and out of the dogs’ lives, helping them get used to being handled by many different people. At 8-9 weeks, the puppies join their puppy raisers, who spend the next 16 months teaching them as much as possible about good house manners, basic obedience, and other cues our trainers assign. Once the dogs enter advanced training, we have a group of volunteers who work with the dogs in public so they continue to hone their skills and behaviors in a variety of environments. And of course, throughout this journey, puppy sitters come into the dogs’ lives not only to give the raisers a break but to let the dogs experience a new home and routine. Every person and every experience shapes the dog into what they will become. All of it leads up to the moment when the dogs join their human partner and they become a working service dog team. We celebrated those teams and all of our volunteers who help to make those teams possible. Congratulations to the teams who graduated! Thank you to all of our volunteers!